1. 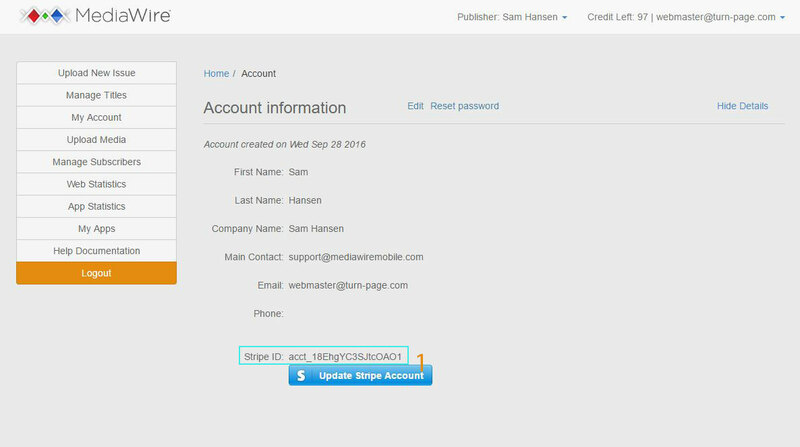 To Create and link your Stripe account to your MediaWire account, login to MediaWire and navigate to the “My Account” area . 2. Once in “My Account” you will see a blue “Update Stripe Account” button . 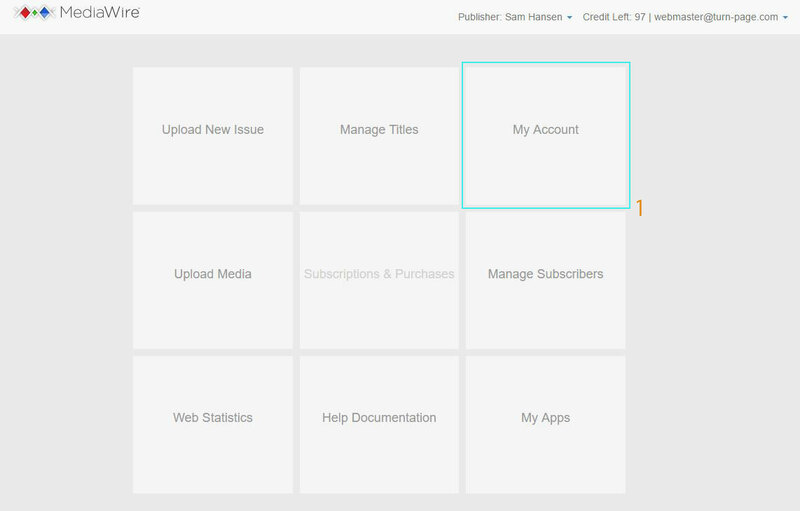 Please note that if you are managing multiple publishers you will need to do this for all of the publishers you manage by changing the publisher  and repeating steps 2 – 4. 3. Once you click the “Update Stripe Account” button you will be directed to this screen to enter the information to create your Stripe Account. 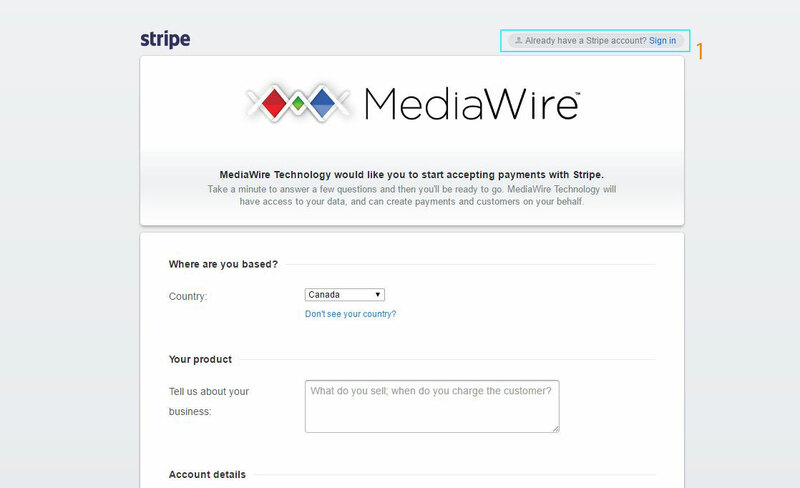 If you already have a Stripe account you can login  to use that account with your MediaWire account. 4. Once all of the information is entered, click the blue “Authorize access to this account” button located at the bottom of the page. You will be redirected back to your MediaWire account page and will be able to see the Stripe ID,  confirming that the link has been made. Your account is now ready to receive payments.